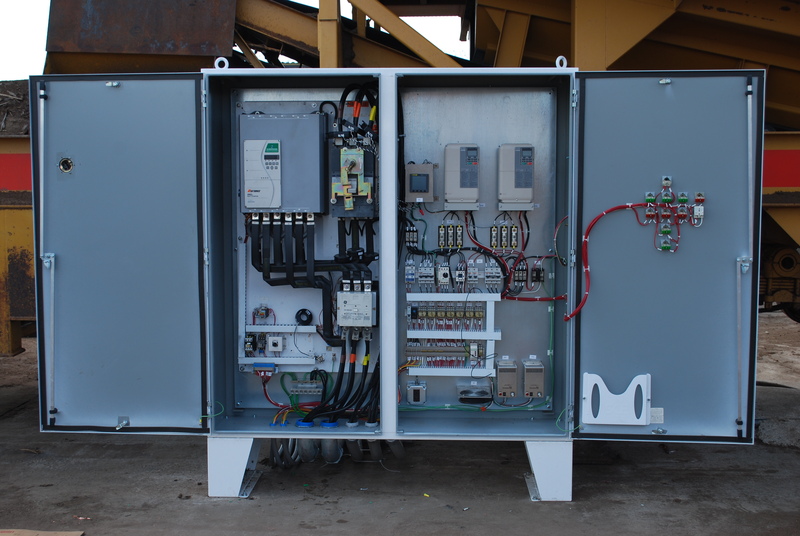 We can design controls for your machine or equipment. Once the design criteria has been decided (what you want the controls to do), we can design a control panel to fulfill your needs. Machinery controls, conveyor controls, fan and blower controls, an entire process panel, temperature control panel, etc., can all be designed. Building your control panels for you. 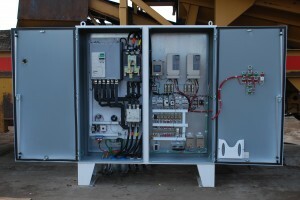 If we design or if you have the specs along with panel drawings and prints, we can assemble and wire your control panel. With information given by you, we can design a system that can incorporate relays, starters, PLC’s, drives (AC or DC), or whatever you need. The system will be tested to the fullest extent that can be done in the shop. If we design your control we will provide CAD drawings for you project. Either we can spec all components or you can tell us what you want. If the system fits in a 12x12x6 box or a 4 door floor mount cabinet, we can handle the job. Installation. If we build your controls or not, and you need someone to install it, we can do that for you. We can do everything from running power to the cabinet, to mounting it, to interfacing and landing all controls that go to the cabinet. Retrofitting a component or drive. If you have a part on your machine that needs replaced because it is obsolete and need help retrofitting it so it will function as before you can call us. As an example, you may have to retrofit an old drive to a new one and need help interfacing the new drive to the old controls. We can figure out what needs done, supply material, install, wire, figure out programming and get you going. Maybe you have an old DC drive that you want to replace and want to install a AC Drive (VFD) to update the control and not have to worry about DC motor brushes any more. Or maybe it is an old VFD that needs replaced and interfaced. We can help.